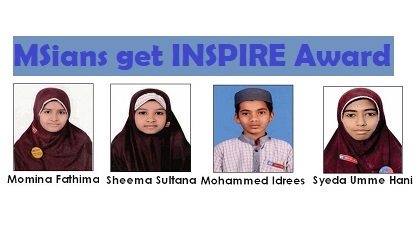 Hyderabad: 4 students of MS Creative School, Sitafalmandi branch got INSPIRE Award of Rs. 10,000/- each from Department of Science & Technology, Government of India. 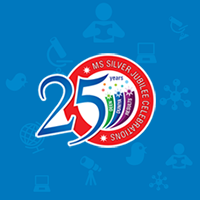 The winners are 1) Momina Fathima (Class 10th) 2) Mohammed Idrees (Class 8th) 3) Syeda Umme Hani (Class 9th) and 4) Sheema Sultana (Class 6th). Each of them were awarded a cash prize of Rs. 10,000/ and a certificate for preparation of Science project / model in the District Level Science Exhibition & Project Competitions (DLEPCs), organized by the District Education Authority.